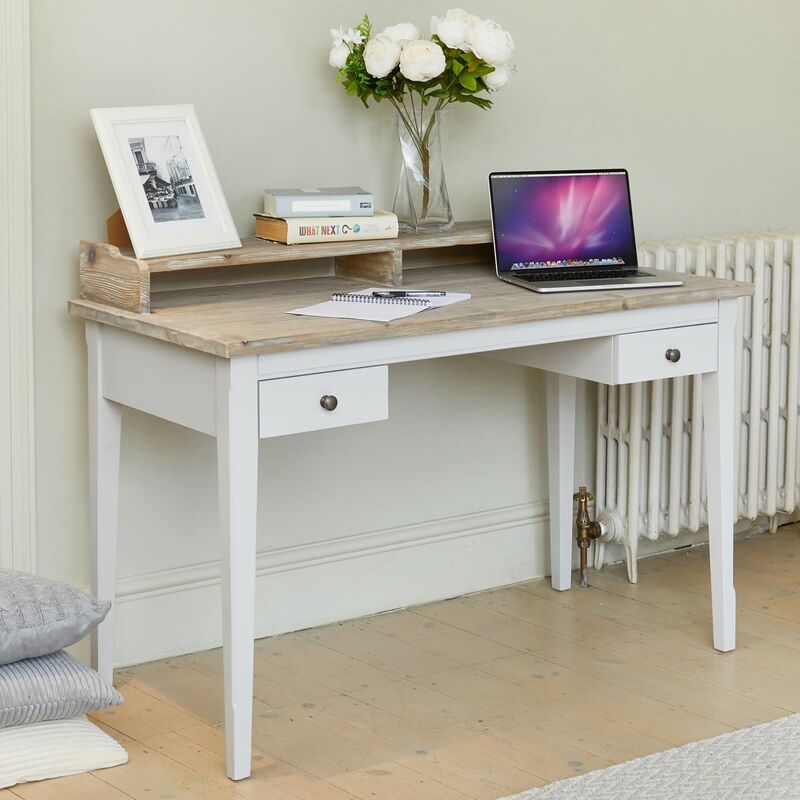 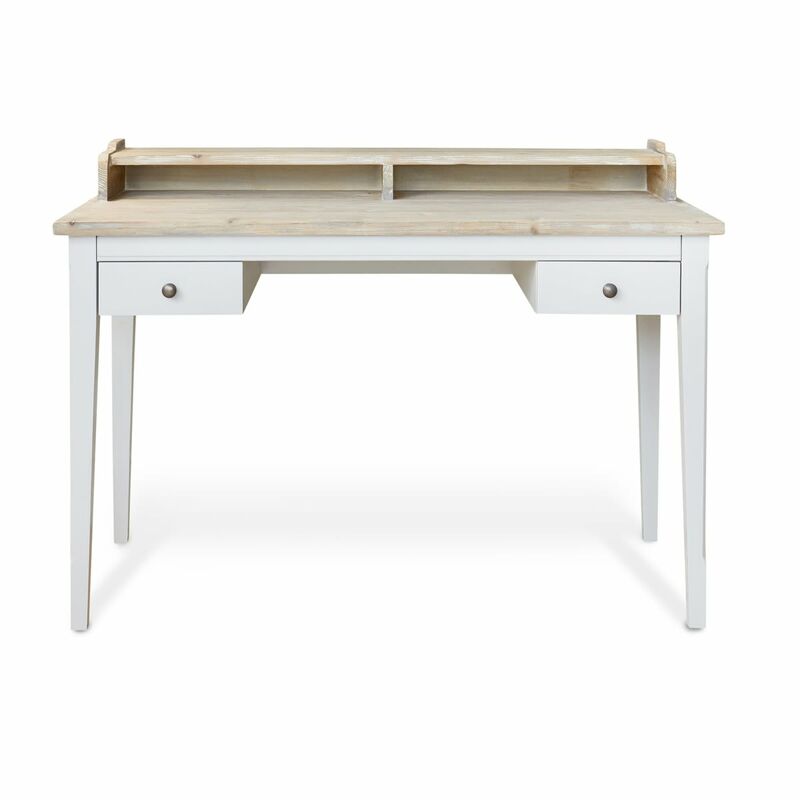 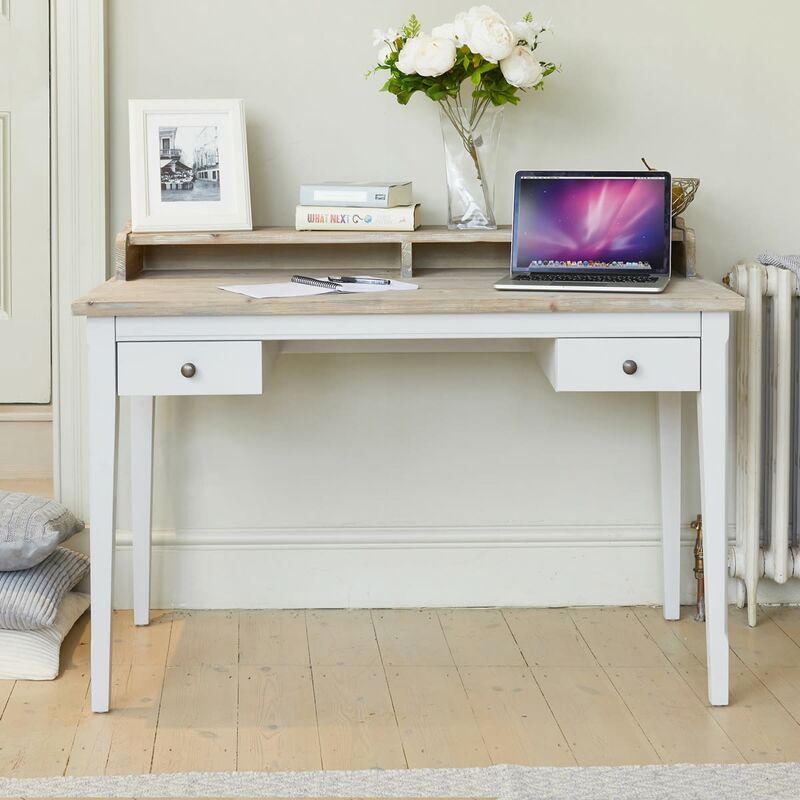 This elegant Signature Grey Desk would bring a hint of modern country style to your home. 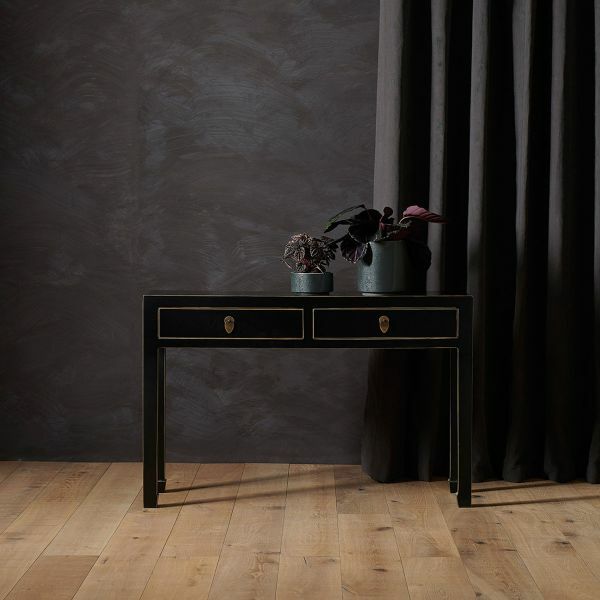 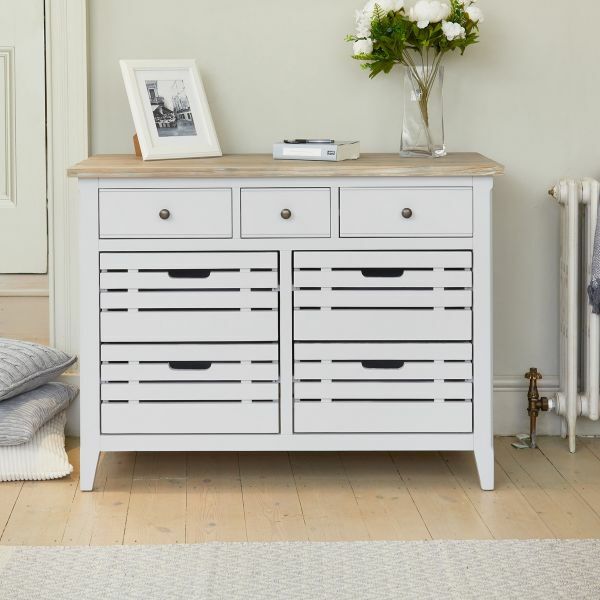 Clean lines and sleek legs really make this piece of furniture stand out and it's versatile too – as well as looking stunning in a home office, it would work well in a minimalist bedroom as a dressing table or a console table in a hallway. 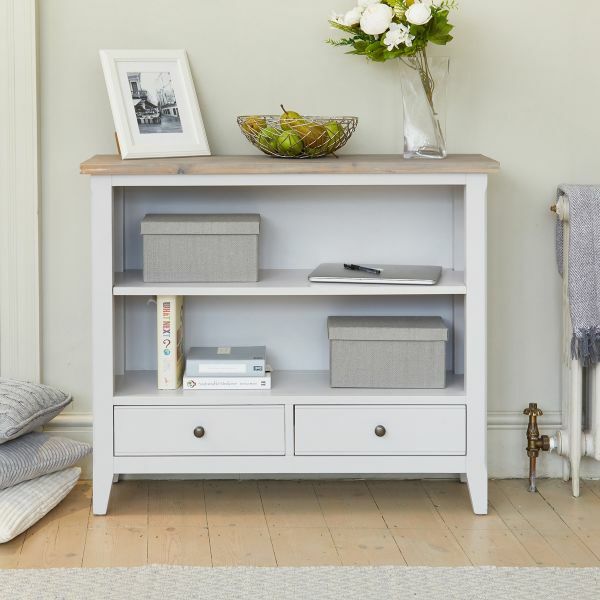 There's a shelf with two cubby holes and two storage drawers which are perfect for either stationary or jewellery. 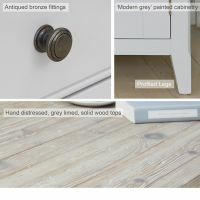 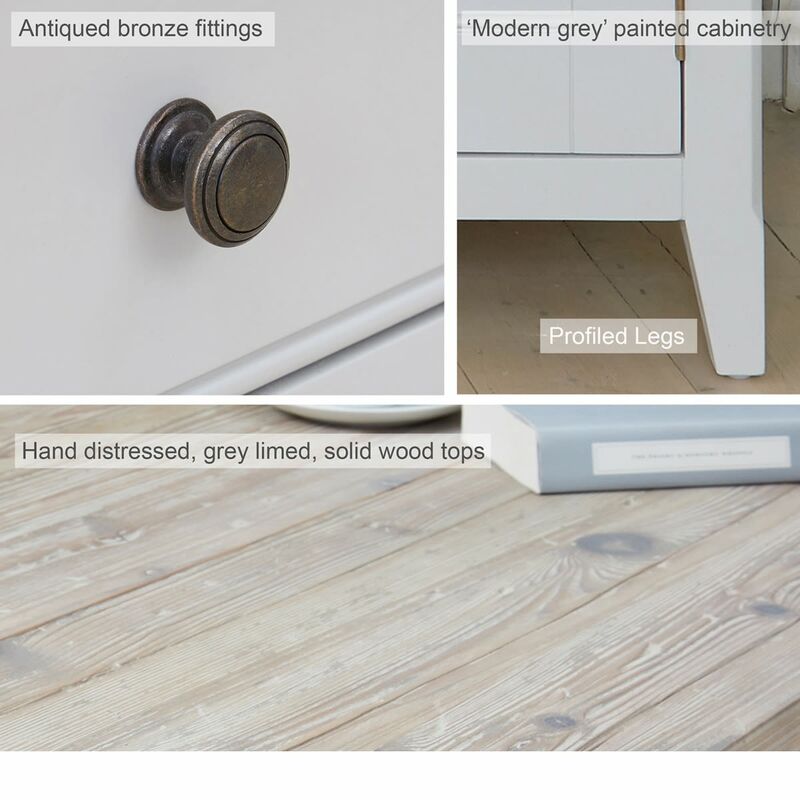 With a distressed hand limed top and chic grey paint finish, it's further enhanced with distressed bronze knobs. 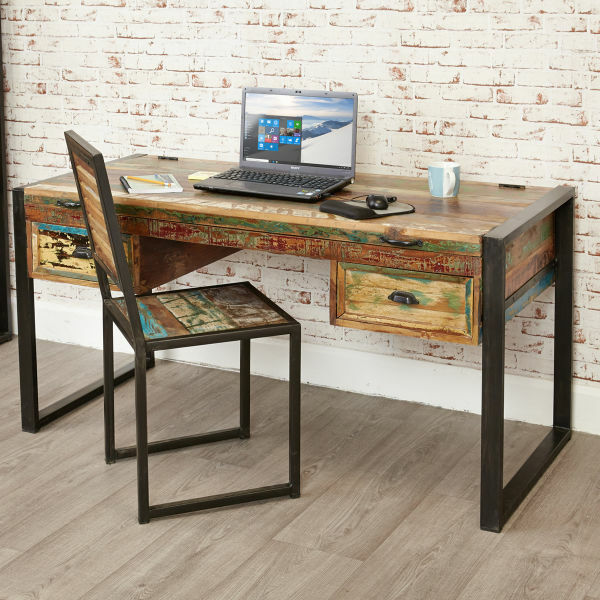 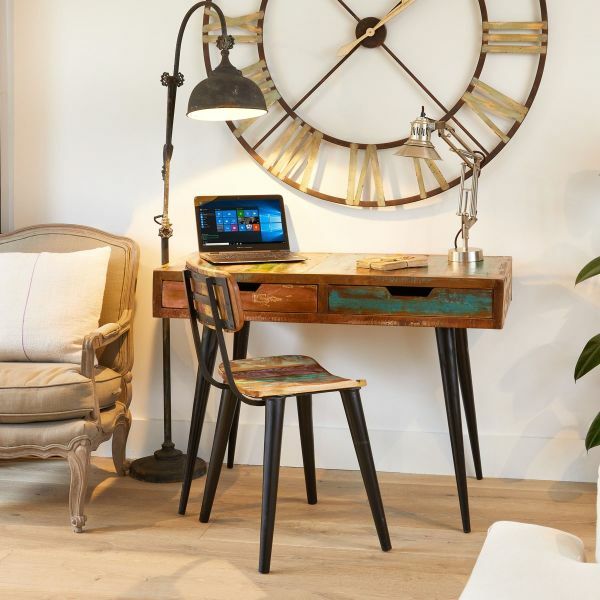 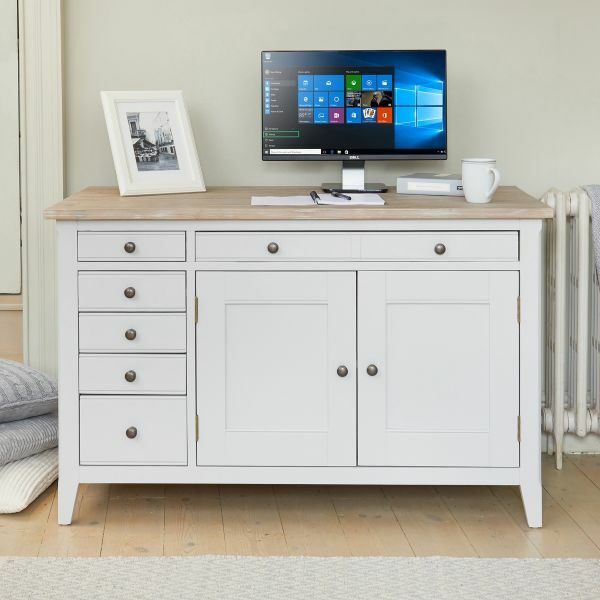 Crafted from solid wood throughout, this handsome desk is solidly built, delivered fully assembled within five working days and comes with a five year manufacturer warranty. 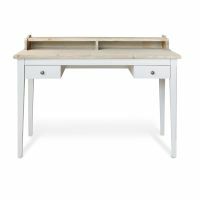 If you're looking for a stylish alternative, why not consider our 9 Schools large console table?